Online database of all performance results on record. Viewable by name of horse & discipline. To Submit Results: Any horse listed on the on-line performance database must be registered with the ATA. 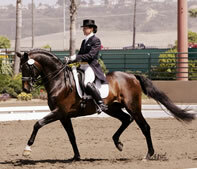 Thoroughbred and Arabian mares which have been accepted into the Preliminary Stud Book (PSB) may also be listed here. One photo may be included for each horse listed in the results database. PLEASE name the photo files the same name as the horse you are giving results for. Photo credits must be given in all cases and photos from professional photographers must be accompanied with permission for internet use. Each Show Result submission form includes 2 shows. Submit the Show Results form (above) as many times as necessary. Please submit your shows as close to the date of the show as possible. The contents and photographs of this website are copyright protected. Do not copy the photos or images for any reason or use without written permission. They are the property of the photographers and the people who have paid for the right to use them. The American Trakehner Association website is an official publication of The American Trakehner Association, Inc. Reproduction of any material without written permission is prohibited. All rights reserved. 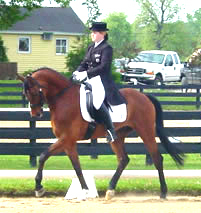 ©1998 - 2007 American Trakehner Association. Please contact the webmaster with any questions or problems on these pages.